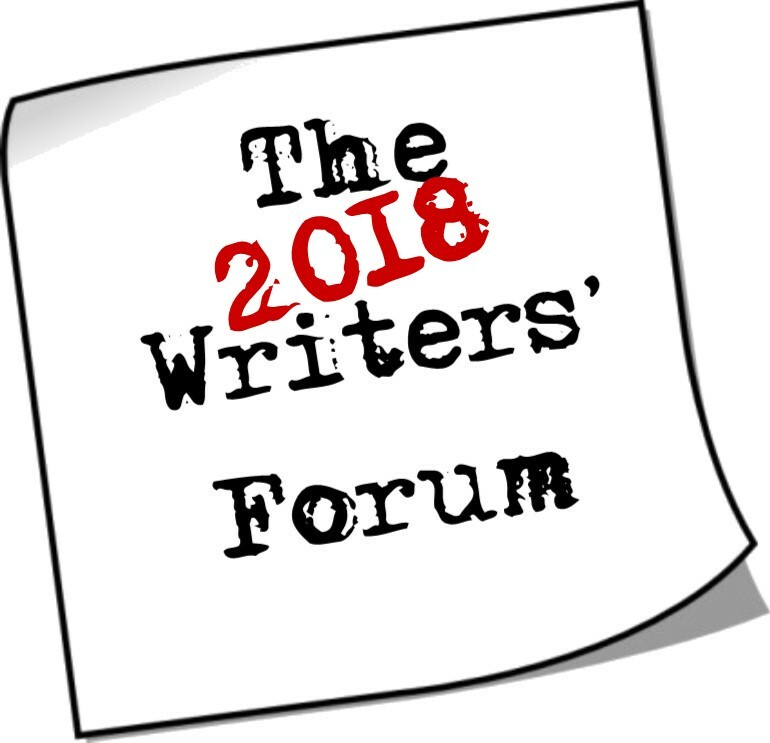 The Writers' Forum is a compilation of the month’s important publishing news and helpful writing information for authors, particularly those independently publishing their books. 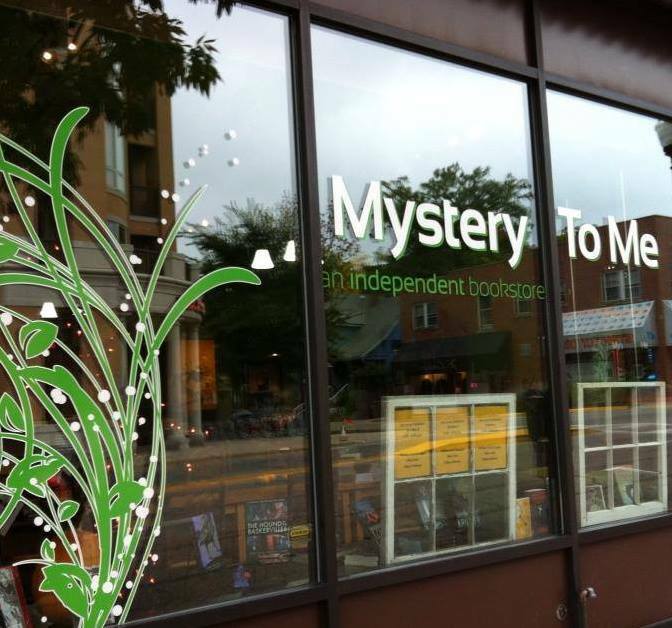 For readers, there are links to southern Wisconsin bookstores to preview their upcoming events. I’ve been an independently published author since 2014 and provide this information to assist others in the way that generous writers assisted me when I was at the beginning of my indie pub journey. On a professional level, I also use my publicity and editorial skills to aid other authors through my company Lost Lake Press. I'd love to use my skills to guide you through the steps of independent publishing! Writing conferences are a great way to hone your skills, learn about the publishing industry, and network with other writers and agents and editors. If you're unsure of what you might get out of a conference, here are some tips about making the most of the experience. Two articles from the past month give a framework for thinking about your book and the marketing you’ll do BEFORE you publish it as well as the ongoing efforts after. Often writers, particularly self-published ones, put their book out to the world and then plan on worrying about the marketing components after. To be the most successful you need to plan ahead. The Book Designer’s article gives the author 5 questions they need to ask before publication. Asking yourself “Am I publishing the right book? And what are the expectations of my genre?” will get you thinking about how you can best position your book. Great advice from both websites to help you be a smart decision maker in this ever-changing business. Again – an Amazon issue. Could there be a month without some sort of weird thing happening over at Amazon? David Gaughran describes the problem that is occurring. Basically, Amazon is attempting to get Amazon users to order from their “nearest” Amazon online website versus using the US Amazon website. In so doing, they’ve made certain titles unavailable to purchasers who live outside the US but a are trying to use the US Amazon website. The story is more complicated than that—and all the details are here. I thought this article from the Idealog website about imprint consolidation at the big publishing houses was an interesting read. It goes through some of the history surrounding the explosion of titles from self-publishing and the ways the bigger publishers are maintaining their competitiveness. There are some interesting statistics about the number of titles in print and such. Just after Kristin Oakley and I had a conversation about how we named our characters (read it here) and the things to consider, I came across this article by Erin Somers “A Knack for Names”. She spends time looking at the way names give us cues as to the character’s nature and the type of story we are reading. Fun examples! This is just a quick FYI to check that your account is secure if you are still at CreateSpace and haven’t moved your titles over to KDP Print yet. If you’ve gotten a “your password has been changed email” from CreateSpace, don’t ignore it. Apparently, hackers have gotten a hold of some account info and were changing passwords and then changing deposit information to abscond with your hard-earned royalties. Read the details here. We’re at the end of the month and if you’ve participated in NaNoWriMo (National Novel Writing Month), I’d love to hear whether you have appreciated the experience or not. (NaNoWriMo is “an annual, Internet-based creative writing project that takes place during the month of November. Participants attempt to write a 50,000 word manuscript between November 1 and November 30.”) You can learn more on the project’s website. I have to say that my writing process does not lend itself to this type of sprint, but then again, my writing session word counts have been rather dismal lately—so maybe this kind of push and focus would be good for me. Anne R. Allen writes a reflective article about how NaNoWriMo might have helped her overcome ‘creativity wounds’ when she was a younger writer. This was based on an article written by Grant Faulkner (NaNoWriMo executive director) for Jane Friedman’s blog. He describes the wounds he received during his creative writing process—I am certain we can all relate. So, you want to include music lyrics in a book. (big sigh) This is hard. You’re going to need permission. It might cost you money. (There’s my succinct summary of this article.) But if you really want to do it, this article gives you the steps for getting the proper copyright permissions. I recommend that you write your way around this . . . here’s an example from one of my books showing how I referenced a song without violating copyright. Phoebe nodded and let her head rest back against the rocker as Mack began. His voice was very good. Combined with Dylan’s amazing lyrics, Phoebe was in for a treat as he sang “The Times They Are A-Changin’.” He continued on with more Dylan, obviously his favorite. When he got to the suggestive lyrics of “Lay Lady Lay,” Phoebe’s eyes flew to his face. He stared right back at her, shamelessly challenging her with the words about lying across his big brass bed. The last line, imploring the woman in the song to stay, hung in the air. Never breaking eye contact, Phoebe set down her empty beer bottle and crossed the porch to stand in front of him. The crickets chirped and the fireflies twinkled in the deepening darkness. Phoebe didn’t understand what had bloomed between them. She just knew that she wanted him. More than she had wanted any man—ever. I know delving into choosing the proper keywords to position your book on KDP (Kindle Direct Publishing) can be an agonizing chore. This article from the Book Designer gives us some new hints on crafting these phrases. The original tutorials that many of us followed were to choose natural sounding phrases—HOWEVER, that’s not the case anymore. You do not have to match a customer’s search terms exactly to get your book to pop up. This article walks through test cases with concrete examples. Maybe it’s time to adjust your keywords? Nate Hoffelder of the Digital Reader offers advice on the “Five Secrets to a Fiendishly Effective Landing Page"--that's your home page, by the way. If you haven’t designed your author website yet—read this. And for those of you who already have a website, maybe it’s time for a bit of housekeeping? This is a cautionary article about making sure that when you enter your book’s main information – title/subtitle, series info, author name that you are consistent across all channels. It’s nearly impossible to fix certain things or adjust after the fact, say you decide you’d prefer to include your middle initial with your author name or something. Read Gordon Long's struggle to fix errors. Dan Blank shares the 8-month journey preparing for Pamela Toler's book launch. This is helpful framework to follow if you’ll be launching a book in 2019. I find Dan’s blog incredibly helpful. You might want to sign up for his Friday newsletter once you check out the info he has to offer. Are you thinking about beginning a podcast? This article from Frances Caballo at Social Media Just for Authors gives a step-by-step list on how she got started with her podcast. Excellent tips! One of my favorite local author podcasts is Writescast hosted by R. R. Campbell. I’ve been a guest a couple of times and find his podcast informative and fun to listen to. There’s always advice about blogging for authors, but this month there were two articles that seemed more helpful than most. One gives tips on how to be a guest blogger: “How to Blog for Other Websites: Simple Steps to Guest Blogging, Including Sample Pitch” and “12 Strategies for Blogging Your Way to Expert Status” by Nina Amir. This info is applicable to both fiction and nonfiction writers, so if you’re hoping to make blogging work for you take a look. Part of my ongoing marketing of my book series has included online advertising. Where can you advertise? Facebook, Amazon, BookBub, Goodreads and others. But there’s a lot to know and the process can feel very intimidating. David Gaughran’s newsletter gives his beginner’s guide to Amazon advertising. And BookBub is good at sending out articles to aid authors on how to be successful advertise on their platform. I thought author Carlyn Robertson’s article “How an Author Doubled First-in-Series Sales Using BookBub Ads” was particularly helpful. Yes, I’m a broken record . . . please use an image to support your posts on social media. Frances Caballo gives some excellent stats as to why we respond better to information presented with an engaging image. Barb Drozdowich at Bakerview Consulting shared this fun infographic with 10 steps on creating your own social media marketing strategy. It’s a quick, visually engaging list that will help you see if you’re doing the right things. This month, Barb also gives a guide for “Effective Social Media Automation”. If you’ve ever wondered how you can save time with your social media posting, this article walks through the ins and outs of automating/scheduling posts. Get to your local bookstore. PS Don't forget to tell me about your experience with NaNoWriMo! Comment below or send me an email. Your email will not be displayed to the public. Subscribe to my newsletter for the latest book news and other fun content! Please know that I only recommend books that I feel are worthy of your time! Some of the links included in my posts are affiliate links, meaning, at no additional cost to you I will earn a small commission if you click through and make a purchase. Valerie Biel’s debut novel Circle of Nine - Beltany has been honored as a 2015 Kindle Book Award Finalist, a finalist in the Gotham Writers' YA Novel Discovery Contest and the Readers' Favorite Book Award Contest as well as being a B.R.A.G. Medallion Honoree. The final installment in this series - Circle of Nine - Sacred Treasures - has also received a B.R.A.G. Medallion and was short listed for the Eric Hoffer Book Award grand prize, earning the First Runner-Up distinction in the YA category.